Contest: WIN: our Mary Kay Best Sellers Set! 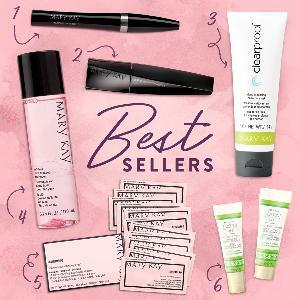 WIN: our Mary Kay Best Sellers Set! Prize: This set includes six of our latest Mary Kay top sellers. Statistics: This contest was opened by 125 and entered by 15 ContestChest.com members. 12% of those who opened the contest, entered it.